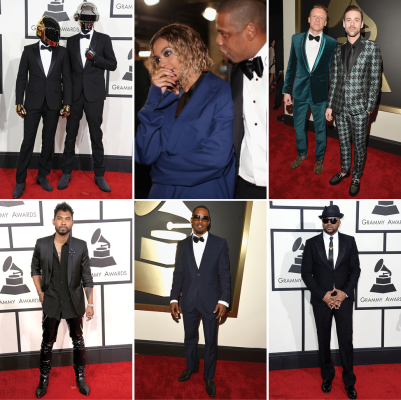 The 56th Annual Grammy Awards was the party to watch last night, which was kicked off by an electric performance by Beyoncé and Jay-Z and ended in an overall splendid night with Daft Punk taking the Album of the Year and Record of the Year. Highlights from the night include Macklemore & Ryan Lewis beating out Kendrick Lamar for Best Rap Album, great performances from Daft Punk, Stevie Wonder, Kendrick Lamar and John Legend, and a certain fast-food chain commenting on Pharrell’s remarkable hat. Make sure to check out the winners of the night below. BEN HARPER WITH CHARLIE MUSSELWHITE, GET UP! Print article This entry was posted by hhcblog on January 27, 2014 at 2:22 pm, and is filed under Footwear. Follow any responses to this post through RSS 2.0. You can leave a response or trackback from your own site.